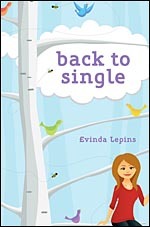 Back to Single, the first book of a trilogy series, by multi-published Christian author, Evinda Lepins, is a refreshing fiction novel based on a woman's journey to recovery after divorce. Beginning with a phone call from her husband, life was never again to be the same. The first chapter draws readers in through the crisis moment dialogue as we learn more about the stunning moment that ended Lacy's seven-year marriage. The journey unfolds, unveiling that there is much more to be recovered from. The novel delicately, but soberly tells the story of one woman's journey from unending heartache to a new discovery of life in Jesus Christ. This journey through real life touches the very heart of one's soul. Often there is much more that is hidden under the surface that God wants to unmask in order for one to experience life more abundantly in Him. The phrase, "peeling the layers of the onion" comes to mind as this story tells the journey of the heart and unveils the work that God does in all of us through our difficulties. As individuals may have their own "story," one will relate to this refreshing story of redemption. This is a highly recommended must-read for those that enjoy true-to-life fiction novels that weave the redemptive theme of the transforming power of Jesus Christ. A wonderfully, well-written and encouraging fiction novel that gives hope to those that think they are at the "end." For more information about the author, her books and some great ministry, visit Evinda Lepins. You can get your copy of Back to Single at Amazon, in Kindle Edition and at other fine online bookstores. Be sure to also visit the Chicklit Power Ministries Blog. Another CBM Christian Book Review sharing Christian books around the globe.